Whether you’re looking for a heating contractor, cooling specialists, or an HVAC team that can boost home energy efficiency and air quality, you’ll find exactly what you’re looking for with the technicians and service experts at Ernst Heating and Cooling. Our family has been proudly serving the Metro East Illinois Area for over half a century. By offering a customer-focused approach and putting the needs of our clients above all else, we’ve built a business that revolves around reliable results and unparalleled satisfaction. Ernst Heating and Cooling offers a complete range of HVAC and home quality services, so whether you’re looking for a cooling repair team that can act fast and get the job done right or a team that can install your new furnace with precision and care, you can rest assured that we have you covered across the board. We also offer our Energy Savings Agreement to all homeowners—a service package that is designed to save you money and add comfort by way of routine tune-ups, discounts, priority service, and other exclusive perks. To find out more get in touch with a team member online today! 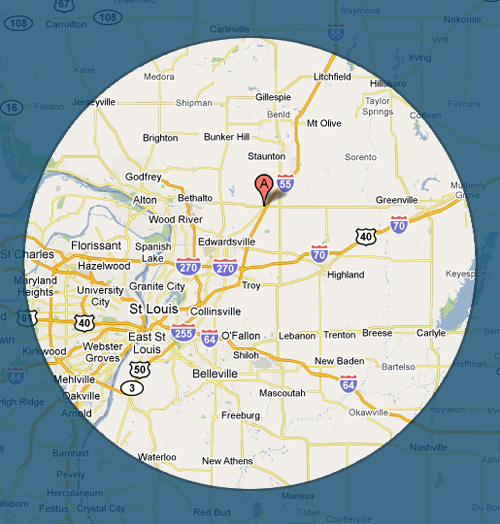 Want to know if the experts at Ernst Heating and Cooling serve your area? Check our list of service areas below to see, and if you’re on the list contact us online or call (618) 887-6093 to set up an appointment!